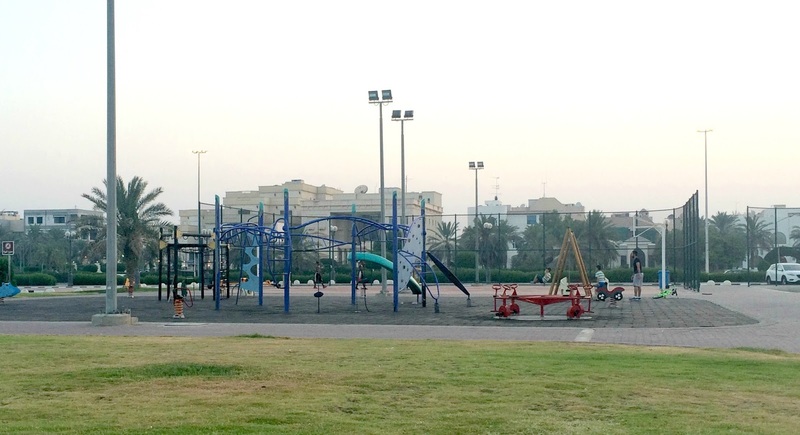 Living in Kuwait, one thing I miss is not having easy access to public playgrounds. (I guess that's something I took for granted growing up in New Zealand where playgrounds were abundant!) 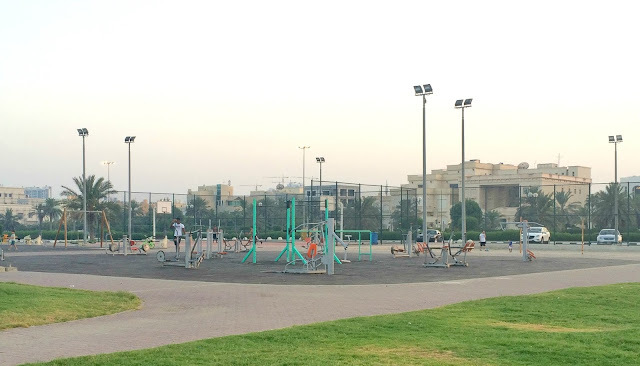 Yes, there are jungle gyms dotted along the gulf road at various beaches and in public gardens across Kuwait, but the majority of them are misused, poorly maintained and no longer safe. The good ones are also insanely crowded. Having said that, we accidentally stumbled across this gem of a place down at the Anjafa (or Enjefa ) beach in Salwa. 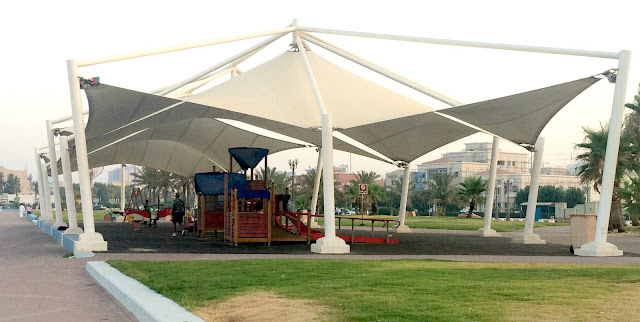 There are two playgrounds, one of which is covered with a shade which is actually really handy during the scorching summer months. 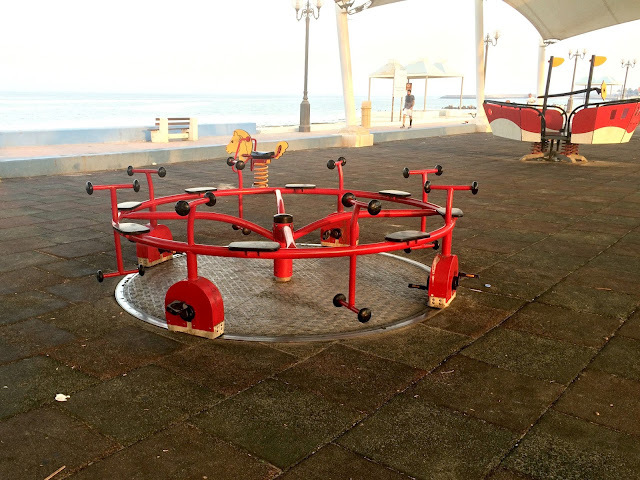 This is aimed more for smaller children and has a see-saw, spring rockers, swings, slides, a rocking boat and a merry-go-cycle. Everything is also quite clean and in perfect condition which is so rare! I loved the merry-go-cycle and unashamedly spent quite some time on it with my girls, perks of being short! 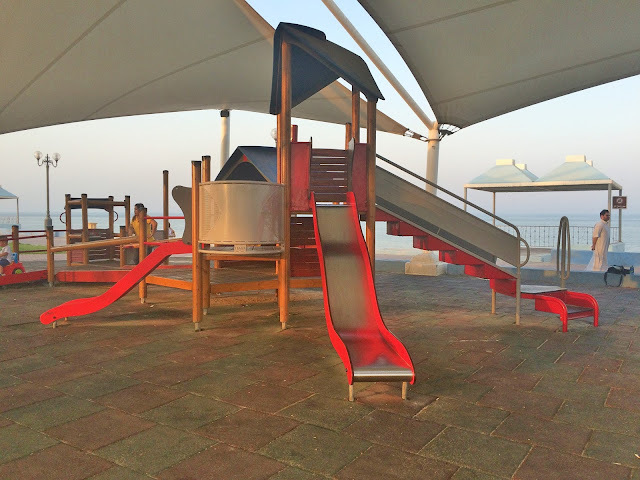 The second playground caters more to older children and has a few climbing frames as well. The area also has a basketball court, a small gym area with some basic equipment and a walking/running track along the beach. The beach is not at all crowded with just a handful of people walking up and down the track and a few kids on bikes. The beach is rocky though and not suitable for swimming but the whole area is clean and well maintained. Definitely a great place to take the kids during the school break! this looks cool, nice photos! Yes its a great place to walk around and spend time with the kids. 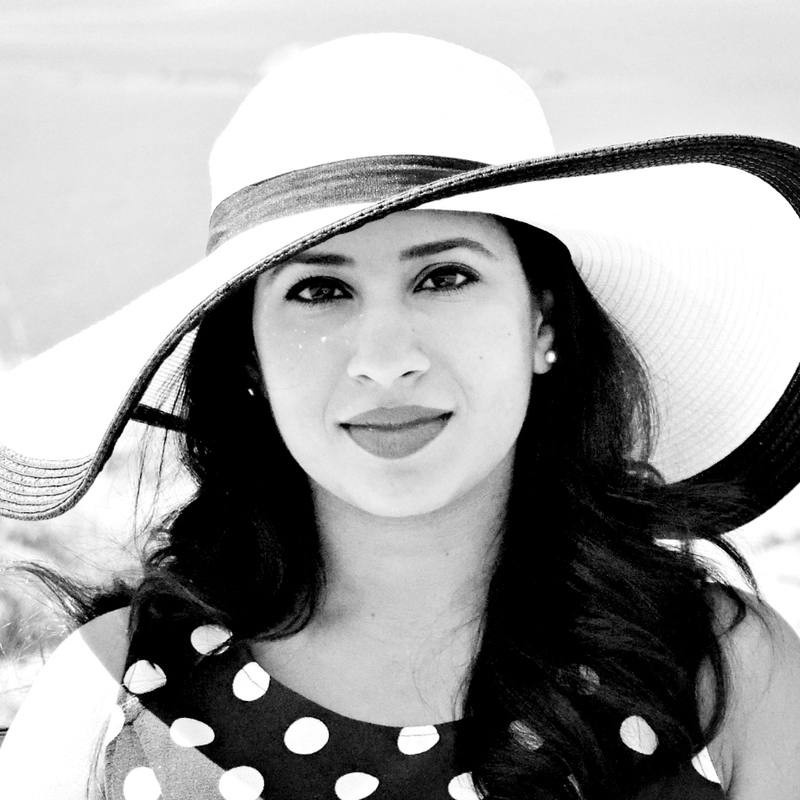 Can't wait to go back during our cooler months. Thanks for stopping by! 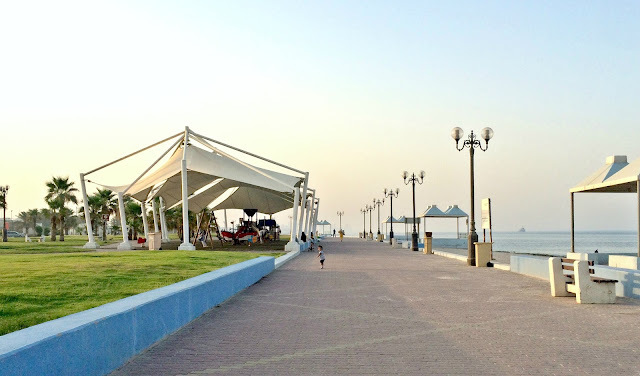 Easily one of the best spots in Kuwait to come by for a walk or a picnic. Nice photos as well. Thanks! Yup, it's our go to place whenever the kids want to ride their bikes. Love how clean it is, feels like a world away from Kuwait right?